It was an album that spawned theses in paper churning departments. It infuriated, puzzled and confused. 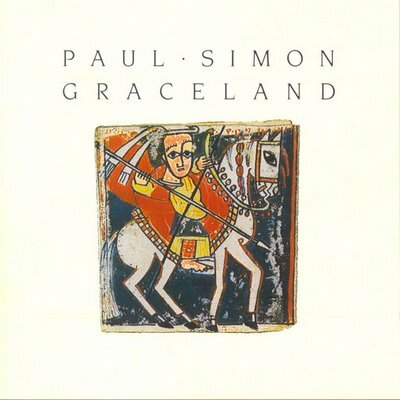 Twenty five years after its release, Paul Simon's Graceland retains its cultural heat, its bubbling, humming power. For Simon, regimes were less important than cultural collaboration. If art serves, as a function, to keep us alive, or at least remind us that we are alive, then Simon's enterprise might be said to have been more noble than most, even if it did not begin that way. The documentary Under African Skies, shot in 2011 to commemorate the anniversary, saw Simon retrace his steps in making the album. The timing of his project was critical. For one, Simon's career was in the doldrums. A collaborative experiment with black South African musicians was certainly novel. The other was historical. Simon found himself at the height of the ANC struggle against the apartheid regime. The regime itself had been deemed a pariah, a state enveloped by sanctions, both economic and cultural. If the state could not be invaded and its leaders overthrown from the outside, it could at least be spiritually starved, culturally besieged. But here, Simon had gone, as if under stealth, penetrating the veil of isolation, providing succour, so posed critics, for the status quo. In truth, all he wanted to do was make music. Boycotts of the Graceland performances were encouraged within the country. Others found in its tunes the rumblings of hope, and, dare one say it, liberty. In the eclectic deliciousness of such tracks as 'Diamonds on the Soles of her Shoes', a multicultural salvo was being unleashed. Mbaqanga, isicathamiya, capella, and rock became companions. Genres met. In his South African experiment, Simon was following in rather big footsteps of cultural defiance. Frank Sinatra, Elton John and Linda Ronstadt were not averse to playing at the predominantly white resort of Sun City, an ersatz Las Vegas within the then integrated 'homeland' of Bophuthatswana. Phenomenal fees were forked out for their services - Sinatra pocketing the sum $1.5 to $2 million for his whistlestop tour in 1981, and Ronstadt getting $500 thousand for a mere six concerts in 1983 (Chicago Tribune , May 19, 1985). Goldie Hawn claimed shame and astonishment to find herself on a United Nations blacklist of performers who had violated the cultural boycott with her promotional trip to South Africa in 1981. By 1985, there were 388 names on the list. Artists were certainly divided on the issue. Joan Baez in her usual militant manner suggested that performing in South Africa made the entertainer a 'sell-out'. Ronstadt saw it somewhat differently. 'The last place for a boycott is in the arts.' The argument made then by such figures who were against the cultural boycott were as relevant then as they are now. Isolationism may provide a powerful message, but may well embolden the very regime in power being isolated. 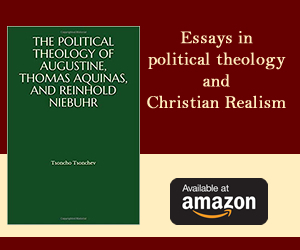 Just as it is naïve to assume that politics is exempt from the world of art and music, it would be equally naïve to assume that culture, notably collaborative culture of Simon's sort, doesn't have truck with social change. What matters is the type of music being offered. Playing before a white audience in a gambling resort town is one thing; performances frequented by multiracial audiences is quite another. Strumming and drumming can also provide their own forms of revolutionary statement, a cry that takes place by subtle and cloaked means. Regimes come and go precisely because they fear being undermined by the cultural statement. Artistic creations have a habit of enduring long before the last despots have had their day. The documentary Under African Skies gives us a taster of this, and is a lovely statement for that reason. In pursuing music as an experiment, allowing the notes to find their natural place in the order of things, Simon was a greater social force than any cultural sanction could ever be. Sanctions are based on a negative premise: to stunt, to retard, to allow a regression rather than engender a creative progression. While the debate on cultural and economic isolation continues, Graceland should at least make one premise clear: the weapons of culture can be the most effective of all.